This is a totally unique piece of sculpture perfect for any art collection. Not quite as big as the work sold at the Sothebys auction but will be a great start. 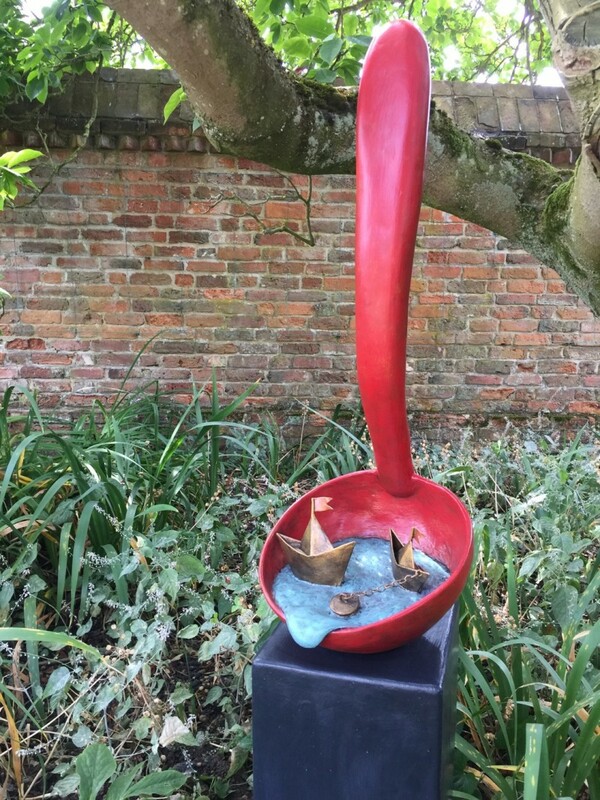 Made with polychrome resin and hand beaten copper boats. 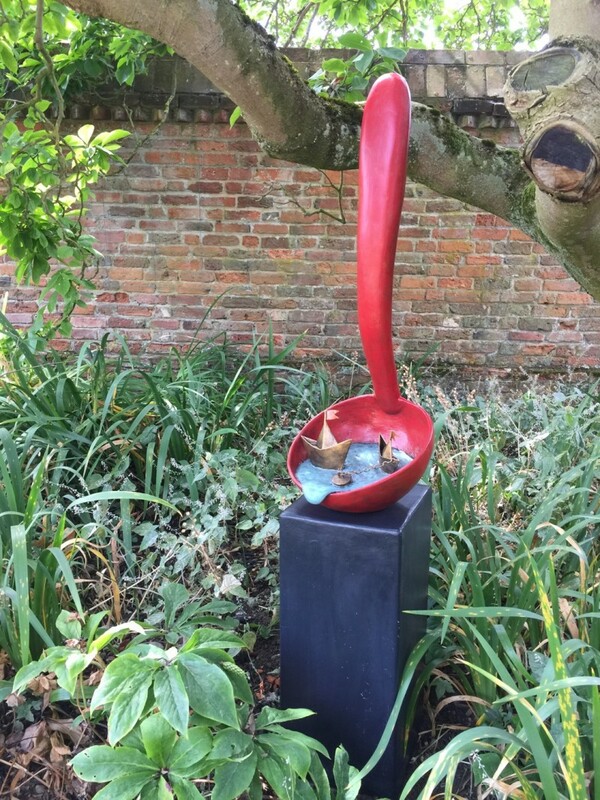 It comes complete with dark grey resin plinth suitable for inside or outside display to create a real focal or talking point.